Woah. It’s been a minute. Ellen is now 2.5 years old and a two-nager. She has an opinion about everything and her favorite word is “no”. Growing up so fast. We are all moved in and settled into our new home (YES! We moved over the winter break!). We are in the middle of potty training, getting rid of her “Patsy” (paci), and to add one more thing to the list, we are now preparing for our transition to her BIG GIRL ROOM! Luckily for us, she has yet to figure out how to climb out of her crib, but I have no doubt it is coming…and quickly. Better to plan ahead! 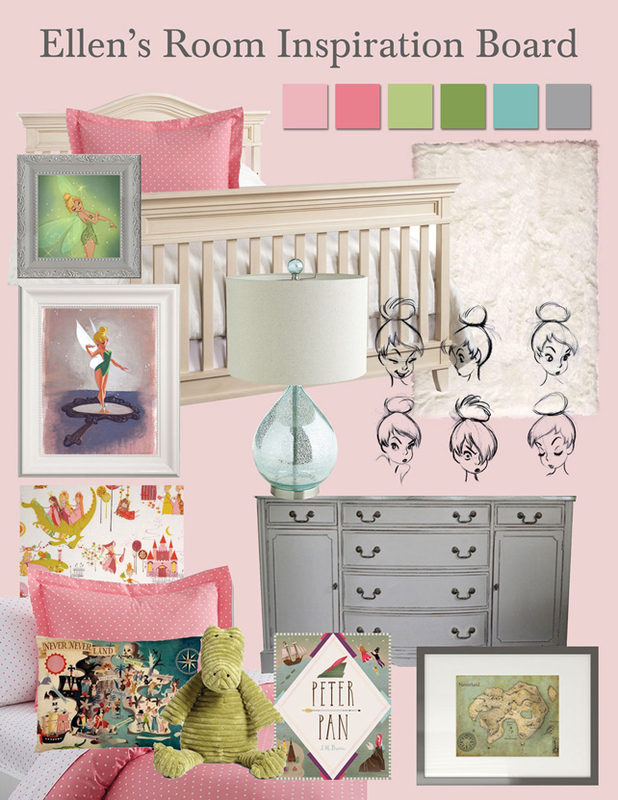 She has a slight obsession with Tinkerbell, or as she calls her “Chick-a-boo”, so it would be totally appropriate to turn her new big girl room into her very own Neverland! Along with some other new home projects we have going on, this is one I’m most excited about! And with a little faith and trust (and pixie dust), we will hopefully have it finished by summer!